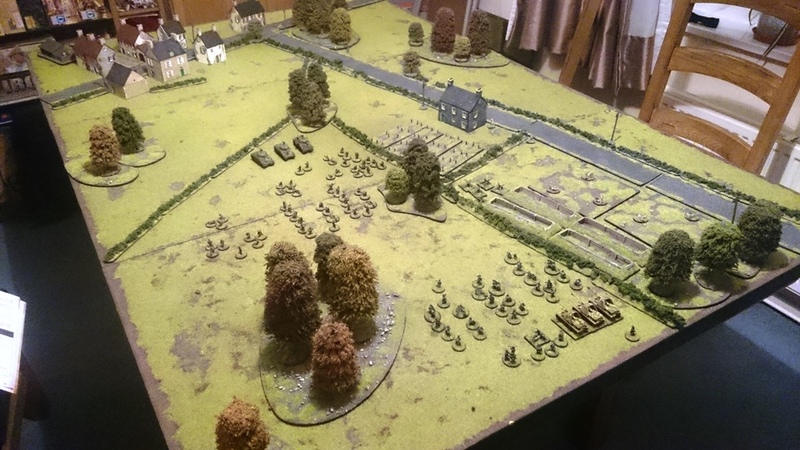 This gives 20 Force Points in total – we removed the 2 Sniper Teams from the British force, thus removing 6 force points from the total, as it didn’t seem appropriate to have snipers during what was an all-out assault. This gives 10 Force Points in total, leaving the German forces with a further 10 points to spend on other support options. Minefield (1) – maximum 2, Barbed Wire (1) – maximum 4, Road Block (2) – maximum 1, Entrenchments – infantry team(1)- maximum 4, Ambush Marker (2) – maximum 2. 2. An opportunity to say that looks very nice…I can see the benefits of 15mm for Chain of Command as I like the use of a base per half-section.